Heading 2018’s winter, China’s natural gas retains the skyrocketing advance, even though Beijing decides to rationally slow down the coal-to-gas reform. NDRC’s data shows the natural gas consumption in H1, 2018 reached 135.5 bcm with an astonishing 18% growth rate, especially on 2017’s 15% basis. It is estimated that China’s natural gas growth speed will linger around 15% in at least three years. However, with faster developments comes bigger gap in supply balance, especially in winter heating season. China suffered from a severe gas deficit in the past winter, and peak-shaving and shortage prevention have become the first and foremost matter for Beijing and China’s NOCs. The rapid growth of the natural gas market also greatly benefited the domestic LNG market, while the price jumped as well, neutralizing consuming motivations. LNG reliquefaction plants suffered from the long-lasted in-to-plant gas restriction, and LNG trading and logistics were also vexed by the narrowing profitability. On the other hand, LNG import and truck loading maintained its extraordinary growth with help from several newly operated terminals, forged China as the largest natural gas importer and the second largest LNG importer of the world. How to find a balance between the peak-shaving and profit-gaining? How to survive the volatile market ups and downs? 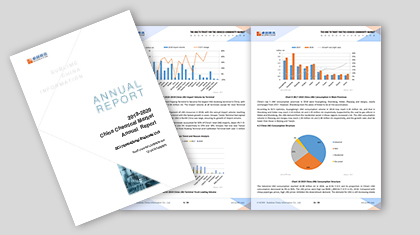 With the 2018-2019 China LNG Market Annual Report, SCI will show you the development trends of China’s LNG market, analysis the key factors of the market moves, and provide feasible and reliable forecast on future market tendency. 1. Review the changes to China’s LNG market structure and price pattern, and analyze the key factors of those market moves. 2. Forecast the future market tendency on the basis of the data model, policy interpretation and all influencing fundamentals. 3. Laser-focus on the domestic LNG industrial chain and related operators, provide intervention spot for investment, and alert to potential risk.